After facing the worst days of his life the past month, Indian cricket team pace bowler Mohammed Shami finally received some good news after the BCCI cleared him of corruption charges. At a meeting of the BCCI core committee on Thursday, Mohammed Shami was cleared of the allegations levelled on him by his wife Hasin Jahan and was given a B grade contract by the BCCI for the Indian national team. The decision also paves the way for Shami to take part in IPL starting on the 7 of April where he will be representing the Delhi Daredevils side who play Punjab in their opener on 8 april. After Shami’s wife had levelled a series of allegations against the cricketer and also registered an FIR against him on charges of adultery, blackmail, assault and match-fixing among others, the BCCI had decided not to give Shami a contract in their recent announcement of contracts for the senior team. After allegations of Shami taking money from London based Pakistani businessman Alishba came to light, the BCCI had launched an investigative team to look into the matter in detail. 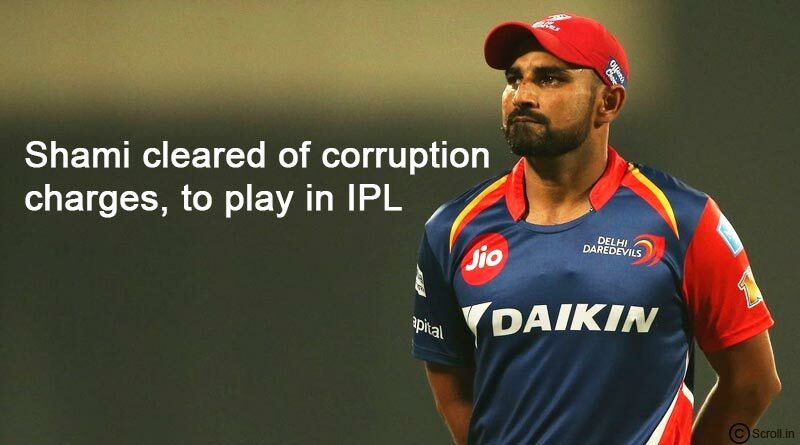 After the thorough investigation was carried out by the officials into the matter, Shami was found not guilty of these charges and given him an annual retainer ship by BCCI under category B which amounts to 3 crores per year. Alishba had already refuted the charges levelled against him and Shami. “I personally don’t know Mohammed Bhai and have nothing to do with him and there was no involvement of money transaction between us. The person who does not even lie to anyone, how he can be disloyal to his country,” Alishba said about Shami.Alishaba said when asked about the matter. The BCCI also added that they have no interest in Mohammed Shami’s private affairs and are only interested in his performances on the pitch. 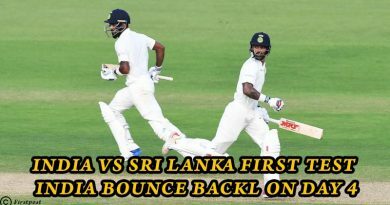 They went onto add that their thorough investigation clears him of the match-fixing charges levelled against him and that he has the go-ahead to take part in the IPL for which Shami has already been seen training. “The Hon’ble Supreme Court of India appointed Committee of Administrators (CoA) had requested Mr Neeraj Kumar, former Police Commissioner of Delhi and Head of BCCI Anti-Corruption Unit, to investigate the allegations against Mohammed Shami in so far as they pertain to the provisions of the BCCI Anti-Corruption Code,” BCCI stated in a release.